I love Christmas. There’s lights, decorations, a live tree which can be put into the corner of my living room that somehow won’t affect my sinus. There is also my birthday…wait…never mind, let’s not go there (I’m old!!!). The one downside is that it’s the end of the year, which brings it’s own unique stress. With it being Fourth Quarter, husband is barely home since he’s management at at a certain box-store. About two weeks ago, he called and said that the store had a very bad visit and that he was going to be late. At 11 pm, he said he didn’t know when he was coming home. He had been there since about 8:30 that morning and hadn’t had any breaks and I don’t think he ate anything. He called again around 2 am, saying that he had to drive over to another store to pick something up, take it back to his store, then he might be able to come home. At some point after that, I fell asleep. I woke up at about 8:30 am, alone in bed. The lights & TV were on in the living room, and there was no sign of my husband ever making it home. I immediately started calling his cell phone to see where he was. After having it go to voice mail several times, I started to panic. I don’t normally react like that since he does keep long hours during this time of year, but he had been at work for over 24 hours straight. That is beyond unreasonable! I was looking up the store number online (since I don’t normally call it) when he finally called me back. He was in his truck heading home, and was just to the point of being out of it. He happily stayed on the phone with me until he pulled into the driveway. He pretty much passed out as soon as he came in. He barely got 6 hours of sleep before he had to be back in. It’s stupid that they take advantage of him since he is on salary. He hasn’t even gotten a decent raise in almost 10 years. I told him it’s time for a change…whether he’s able to move up to co-manager or has to find something new. We can’t keep going like this financially…and he physically can’t keep working like he is. At this point, I know he could go to another company, make more money & work normal hours. The problem is finding anyone who is hiring. So, for the time being, we are trying to save more money where we can. Budget! Our first New Year resolution that’s starting now. We’ve managed to get the cell phone bill down. We were getting ripped off before with the plan AT&T had us on. His work will now be paying about 80% of the bill since he uses his cell phone primarily for work. Second Resolution: Begin working on this blog full-time. Since my daughter will be starting school next fall, I will have the majority of the day to devote to stuff for here. I know that I have really slacked off the past two months. There really is no excuse for it. Regardless of what is going on in personal/family life, I need to start buckling down and treating this like a job. Because it is one, surprisingly. When I first started this, I never expected to have any readers, let alone build it into what it is now. It was just a way for me to keep track of her milestones and vent. Now…it’s this thing with a life of it’s own that I need to take care of on a daily basis. I’m at a loss. I’m not exactly an interesting person and I have very little social life. I can count on one had the number of big family outings, just the three of us, that we’ve had this year (something that will be address in a minute). But, I will try to find something interesting so you aren’t getting bombarded with book blasts and a steady stream of reviews. Third Resolution: More Family Time! As I mentioned, we don’t get out much as a family. I think the best outing we’ve had all year was the baseball game, something that I really hope that we get to do again this coming year before school starts (though I highly doubt that we will ever again have as nice seats as we did. Thank you Scorebig!). I recently got a new Texas Travel Guide, so we are hoping to start taking some days trips this coming year. Fourth Resolution: Balance graphic design work with the blog. That’s pretty self explanatory. 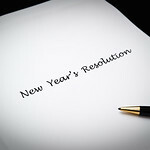 Fifth Resolution: Get back into working out! I’ve done the INSANITY program before, and it’s high time I do it again. My knee is well enough now that I think I can make an attempt at it. I’m sure that I will some up with more resolutions before the start of the year, but these are the major ones that I want to concentrate on since they are probably the one that I will be able to stick to the best.